Though our country may have got a One Nation, One Tax Policy, in the face of GST, its revenue collection figures are not so encouraging. In the beginning, GST revenue collection for the first three months went over 90000 crore, but the figures started dropping from October to 83346. And in November, it further slipped to 80808 crore. Since then, the figures mostly lingered around 86000 in the recent months. The Union Ministry of Finance had to figure out the reason of this discrepancy, the reason behind such huge revenue leakage in GST collection before it’s too late, and for that data analytics came to the rescue. After carrying out a thorough analysis, on its 26th meeting on Saturday, GST Council discovered several major data gaps between the self-declared liability in FORM GSTR-1 and FORM GSTR-3B. 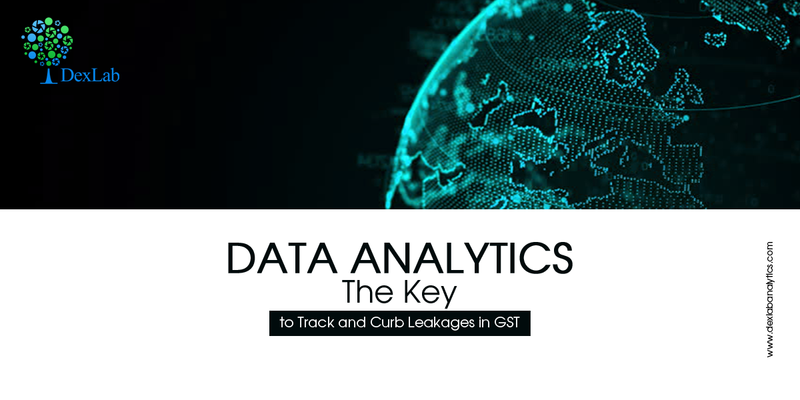 Highlighting the outcome of basic data analysis, the GST Council stated that the GST Network (GSTN) and the Central Board of Excise and Customs have found some inconsistency between the amount of Integrated GST (IGST) and Compensation cess paid by importers at customs ports and input tax credit of the same claimed in GSTR-3B. “Data analytics and better administration controls can help solve GST collection challenges” – said Pratik Jain, a national leader and partner, Indirect Tax at PricewaterhouseCoopers (PwC). He added, “Government has a lot of data now. They can use the data analytics to find out what the problem areas are, and then try and resolve that.” He also said that to stop the leakage, the government need to be a lot more vigilant and practice better controls over the administration. Moreover, of late a parliamentary committee has found that the monthly collection from GST is not up to the mark due to constant revisions of the rates, which has undoubtedly affected the stability of the tax structure and had led to an adverse impact for trade and business verticals. “The Committee is constrained to observe the not-so-encouraging monthly revenue collections from GST, which still have not stabilised with frequent changes in rates and issue of notifications every now and then. Further, the Committee is surprised to learn that no GST revenue targets have been fixed by the government,” said M Veerappa Moily, the head of Standing Committee on Finance and a veteran Congress leader in a recent report presented in the Parliament. To experience the full power of data analytics and the potentials it withholds, find a good data analyst training institute in Delhi NCR. A reliable data analytics training institute like DexLab Analytics can help you unearth the true potentials of a fascinating field of science – go get details now.